June 22, 2018 by Gerald Gutierrez·Comments Off on Is There Such Thing As Genuine Psychic Powers? The psychic phenomena is something that has amazed people for thousands of years. In the early days, it wasn’t called “psychic”. It was a form of meditation, or a spiritual advisor, or one of a thousand other descriptions of connecting to something beyond yourself via the power of mind and will. These days there’s plenty of argument on the reality of psychics. People pointing out how psychics are fake enjoy pointing to James Randi’s million dollar offer, saying that if someone was really psychic they could easily win the money. Of course, they never point out that the Randi experiment may allow a psychic to perform whatever ability they say they can perform they must produce the kind of effect that the observers presume should be created. What does all of this mean? In simple terms, it puts into question whether or not genuine mediums exist and how to channel psychic energy. However, the evidence we have also suggests that we can’t entirely rule it out. This is due in part to unexplained events that are easy to verify but never the less make no sense. That’s not the only answer, however. The first thing to understand about psychic abilities is that they rarely look the way Hollywood claims they look. There’s no mind reading, nor is there some kind of astral projection or mind control. Psychic abilities, if they can be quantified at all, involve understanding patterns and how they relate. This is the entire purpose of the tarot cards. They’re not a fortune telling tool. They instead allow a reader to take a constant, like the suite and arcana of the card and connect it to one of the multiple potential patterns. Because psychic abilities involve pattern recognition and comprehension more than any sort of mystical, supernatural event it’s entirely possible for people to not realize they’re psychic. It’s also possible to actively use “psychic powers”. The entire foundation behind the use of psychic powers is making yourself more alert. Practice noticing details. You should also practice recognizing how people react to things without assigning a stereotype. This allows you to connect a number of things to potential human reactions but still have an open enough mind to notice other possibilities. At the end of the day, asking about genuine psychic powers misses the point. Everyone is psychic and no one is psychic. It’s a matter of understanding your own mind and how it relates to things around you. Psychic readings provide insight on a person’s future. There are many people who believe in psychics and their ability to predict some of the things that will happen in the coming weeks, months, and years. There are several ways to have readings performed if you’re trying to find out more information about your future and what you can expect to happen at some point. Palm reading is one of many methods used by the psychics. If you’re visiting a psychic in person, he or she may ask to see your palms. The psychic would look carefully at one palm and then use what he or she is seeing to predict certain things that may take place in your life soon. Palm reading is often an inexpensive way to learn more about your own personality while getting a bit of hope for the positive things that could occur in your life in the next few months. Aside from a traditional palm reading, some psychics use a deck of cards to predict certain things for their clients. The tarot cards have intricate designs on them. These designs may have several different meanings and could be interpreted as either positive or negative things that are going to happen. There are typically 78 different types of cards included in the deck. Some of these cards would be pulled out by the psychic during your reading. The psychic could then explain what they mean and talk to you about how the meaning of those different cards could tie in with your personal life. Over the past several years, online readings with psychics have become increasingly popular. Many people are interested in psychic development for beginners because they don’t have to leave their homes to find out valuable information about their future. Of course, anyone who is considering getting an online reading should make sure they’re talking directly to a reputable psychic. There are some sites available that allow users to choose the psychic they’d like to speak to. Users may then have the option of corresponding over the phone, via the chat feature on the website, or even through email. If you’re a fan of tarot readings, the professionals who provide online readings may be able to complete the tarot readings with a virtual deck of cards, making it that much more convenient for you. If you want to find out more about your future, you can ask a psychic all kinds of questions. Some people want to know when they’re going to get in to a relationship or find genuine, true love. Other people want to know when they’ll get pregnant, receive a raise at work, or go through an experience that will change their lives for the better. These are a few of the things you may receive guidance on when you decide to talk to a psychic and have a reading done. It’s up to you to figure out which type of reading you’d like to have the psychic to do for you. December 11, 2015 by Gerald Gutierrez·Comments Off on 6 Things You Should Know About Your Destiny! We often ask questions like ‘Why am I here?”, “Where will I go?”, or “What is my destiny”? All these questions can be very confusing and you will find that your mind has gone blank. At one side, we create our own world, there is nothing called predetermined. On the other side, we know we came here for a definite purpose. We all have unique sets of talents, gifts and strengths that have been predetermined. So, is our fate predestined or have we created it? There are many paths to destiny. You make the choice of how to reach there. When trying to reach your destiny, you should consider all the small steps you take to move towards your destiny. For example, after three years of studying law you realized that it wasn’t your cup of tea. Instead of thinking about the time you had wasted in the wrong thing, think about what you have learned during this period and how you can use it to move forward in life. There is no reason to think that once you reach your destiny, all your problems will be solved. Destiny is not a solution, it is an opportunity. Don’t think that you need to win a Nobel Prize or be the best politician of the country to reach your destiny. Destiny is your personal goal. Once you hit that goal, you will feel like a Nobel Prize winner. It’s completely up to you whether you want to pursue your destiny or not. If you don’t want to, no one can force you. Destiny is actually realizing who you really are over the years. It is like a gift to be unwrapped over the years. You should change your beliefs that are stopping you from reaching your destiny. Sticking to the same old beliefs will take you nowhere. Use these suggestions and work hard to move towards your destiny. Your ultimate happiness lie in your destiny. Should You Believe in Your Psychic Reading? December 11, 2015 by Gerald Gutierrez·Comments Off on Should You Believe in Your Psychic Reading? Many people choose to go to a psychic, but do they believe their psychic reading? Going to a psychic is a decision that takes time. You do a lot of thinking, weigh the advantages and disadvantages before you decide to go to a psychic. Psychic decision changes your view about life and helps you make decisions easily. Now that you have got your reading, should you believe it? A psychic can read your past, present and future. Once you get your reading, use your instincts to decide what to do with it. A psychic can make you believe everything he or she has said. There are fraud psychics available as well, who try to get as much money they can from you by giving you false predictions and scaring you off. If you understand that psychic reading cannot predict your future, that you can only get guidance from it, then there is less chance that you can be manipulated by these fraud psychics. You should believe in yourself strongly and hold on to your own reasons. So, even if a psychic tries to manipulate your feelings, it will be hard to do so. Also, after you get the psychic reading, you should process the information yourself and decide whether to believe it or not. Don’t take any step right away. Psychic reading is like a fairy tale. Most things in a fairy tale is not real, but you get important lessons from it which we use practically in our lives. 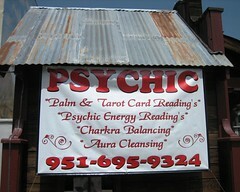 It is the same with psychic readings. Don’t expect psychic readings to be true word by word. Instead, take the insights it gives, and the guidance it provides. Believe that the readings are intended for you to be optimistic and take your own decisions.